I love Mexican food, and nachos are one of my absolute favourite dishes. At home with my family, I would make these as part of a Mexican feast with chilli, fajitas or tacos. 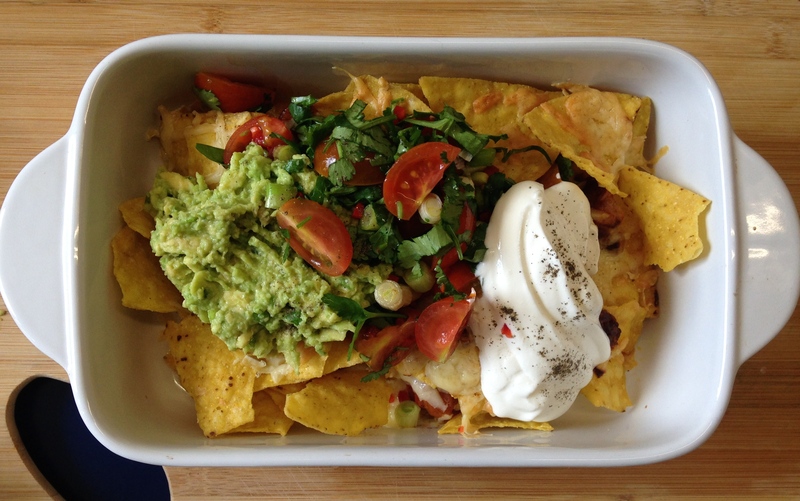 Away at uni I like to make these as a dish in their own right, with fresh avocado, limes, tomatoes and soured cream, nachos make for a really tasty lunch or dinner. 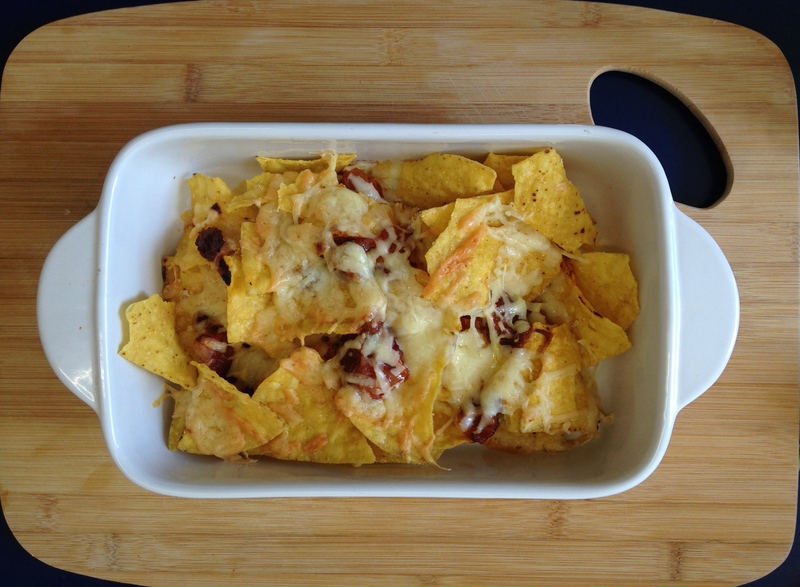 I’ve changed the traditional nacho recipe a little by adding layers of smoky chipotle sauce, the paste used can be a little tricky to find in smaller supermarkets but the taste is totally worth it. You can use larger quantities to make them for a group, trust me they will always prove popular! If you’re cooking for a fussy crowd, decant the dips into little pots for people to make their own combinations of sides, or just spoon everything on top, grab a fork and dig in! Pre heat the oven to 200 degrees. Use half of the tortilla chips to create a thin layer on the bottom of a baking dish. Set aside, then chop your cherry tomatoes into quarters. Then put 1 tablespoon of olive oil into a frying pan and put on a high heat. Once the oil is hot, add three quarters of the tomatoes and soften for 2-3 minutes. Once soft, add the chipotle paste, tomato puree and a pinch of salt and pepper. Cook for another 5 minutes, stirring regularly, once the sauce has a loose consistency take the pan off the heat. Grate your cheese. Put a layer of sauce onto the tortilla chips, followed by half of the cheese and the final layer of tortillas. Repeat with the rest of the sauce and top with the remaining cheese. Put in the oven for around 10 minutes, or until the cheese is golden and all melty and bubbly. Is there anything more satisfying than melted cheese? I think not. While the nachos are in the oven, cut your avocado in half lengthways and scoop out the flesh, removing the stone. Mash with a fork in a bowl and add some lime juice and salt. 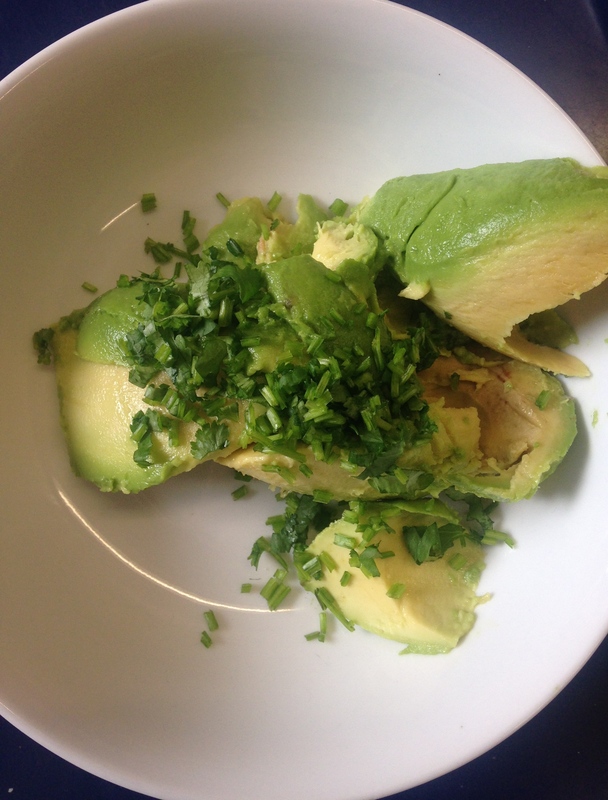 Finely chop some coriander stalks and add to the avocado for a really simple guacamole. 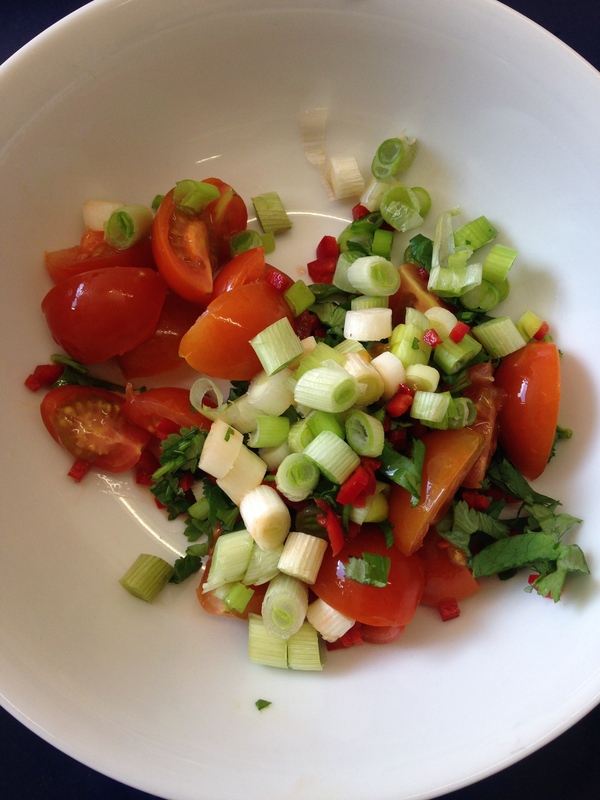 Set this aside and finely chop your chilli and some of the coriander leaves. Mix with the rest of the quartered cherry tomatoes and some lime juice, salt and pepper. 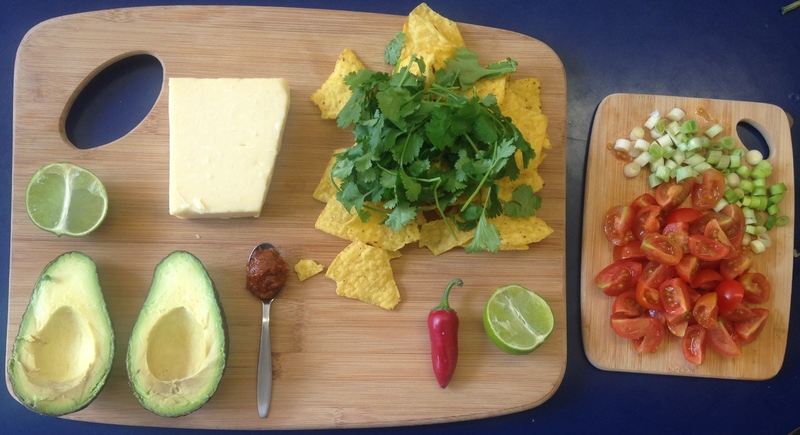 Now that you’ve made your quick salsa and guacamole, you’re ready to serve your nachos! Take the tortillas and sauce out of the oven and place on a heat proof surface. Spoon out your salsa and guacamole, I also like to add soured cream with a little black pepper too, but it’s completely up to you! If you happen to try any of the recipes I post on my blog, please feel free to tweet them to me at @b_louella or use #beankitchenblog on instagram!